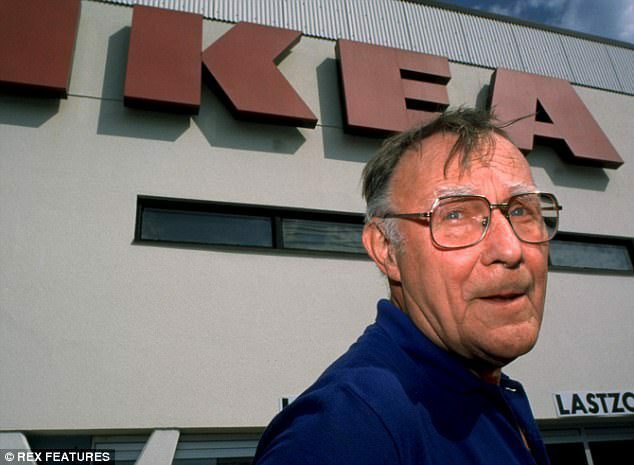 Ikea founder Ingvar Kamprad has died, the company has confirmed. 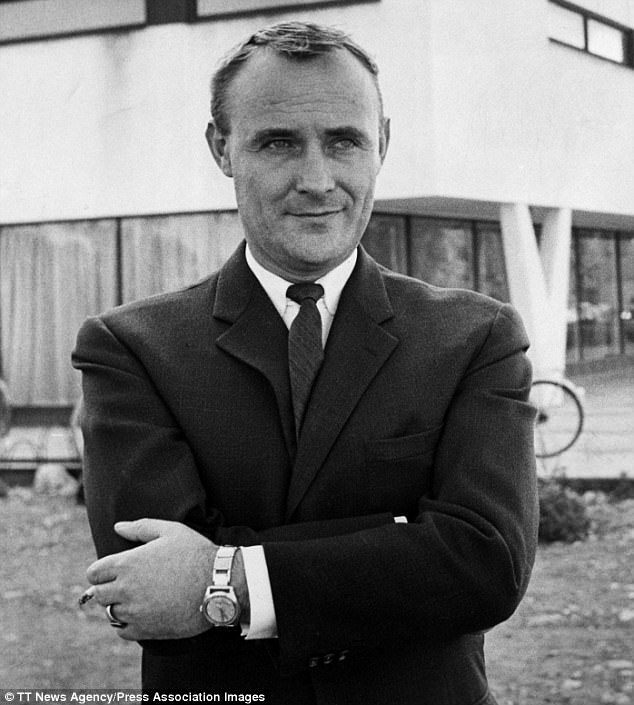 The 91-year-old billionaire passed away on Saturday at his mansion in Smaland, Sweden. Multinational Ikea, which has hundreds of stores across dozens of countries, has long been the world’s largest furniture retailer. In a statement, the company described Mr. Kamprad as ‘one of the greatest entrepreneurs of the 20th century’ and said his end was peaceful. 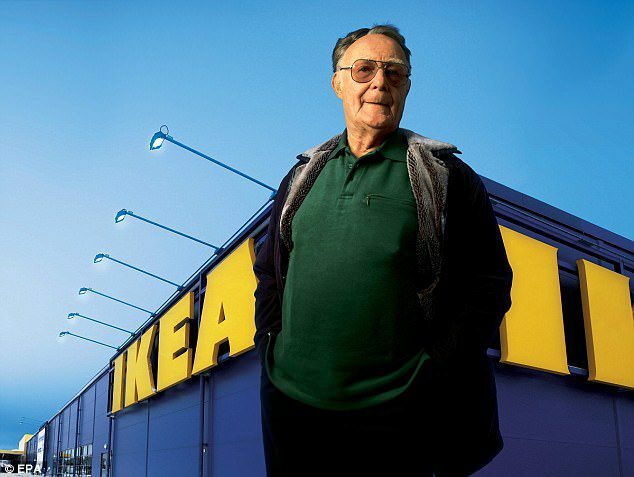 Mr. Kamprad was 17 when he founded Ikea, now one of the world’s most recognizable brands, in 1943. The name came from his initials, IK, with an E for Elmtaryd, the family farm where he grew up, and an A for Agunnaryd, his home village. He came up with the idea of flat-packed furniture when he was trying to fit a table into the boot of his car. A friend suggested he should take the legs off. The billionaire opened his first store in 1965, only to see the wind smash the neon sign and cause a fire which burned the place down. In his early years, Mr. Kamprad sold matchboxes to neighbors from his bicycle, finding out he could buy them in bulk very cheaply from Stockholm. 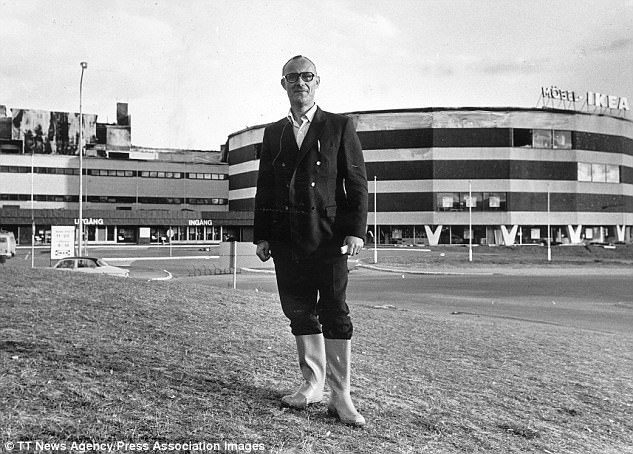 He went on to sell fish, Christmas tree decorations, seeds, and ball-point pens and pencils. The industrious young man began advertising in local newspapers and operating a makeshift mail-order catalog. 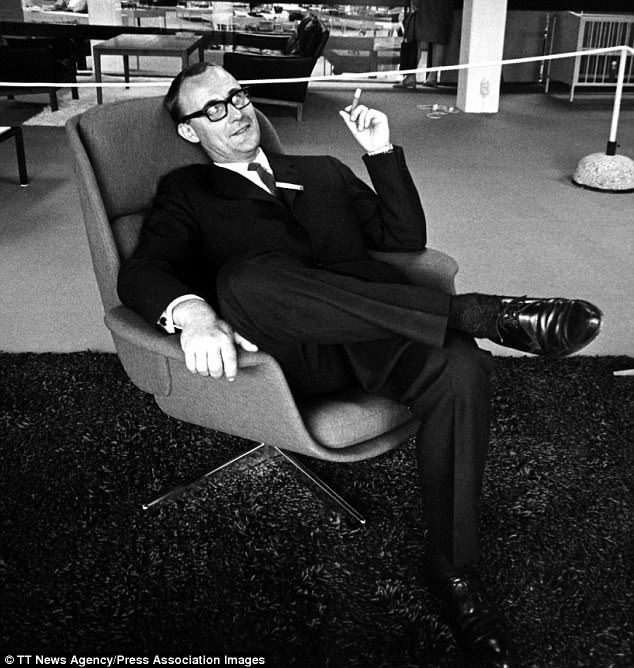 In 1950, he introduced furniture, produced by local manufacturers in the forests close to his home, into his catalog for the first time. After getting positive responses from clients, he decided to focus on low-priced furniture and discontinue all other products. And so the Ikea concept was born: affordable furniture which customers can assemble themselves. The magnet is now estimated to have an accumulated fortune of about £51billion. He decided to return home only after his wife Margaretha died in 2011. 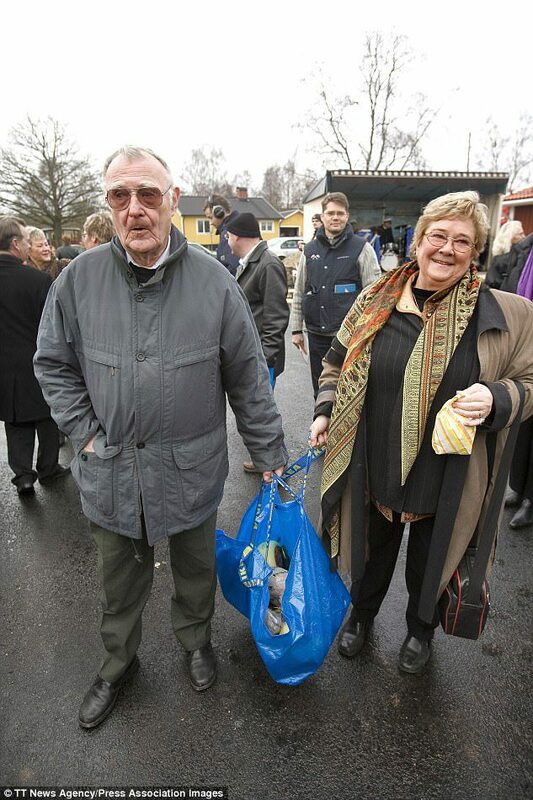 But Mr. Kamprad – who was once listed as the world’s fourth richest man – is renowned for his frugality. And his modest spending habits have made headlines over the years. He admitted buying all his clothes from flea markets in the hope of setting a good example to others. 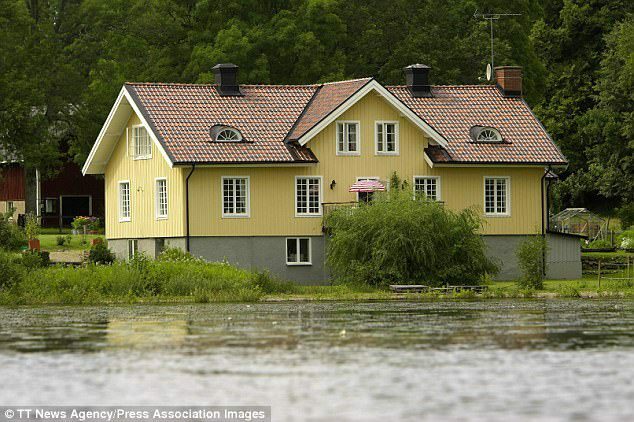 The billionaire took easyJet flights, drove himself around in a 15-year-old Volvo and furnished his modest house almost entirely with Ikea items – which he assembled himself. His eagerness to save money extended to his visits to London, where he shunned taxis and preferred to use the Tube or buses. He once took a bus to a gala evening to collect a businessman of the year award – prompting security to refuse to let him in. In 2008, he told newspaper Sydsvenskan that a 22-euro bill in the Netherlands had broken his barbering budget. ‘Normally, I try to get my haircut when I’m in a developing country. Last time it was in Vietnam,’ he explained. 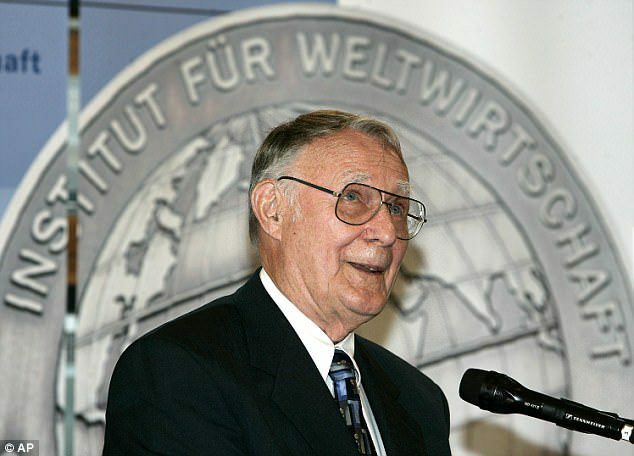 Mr. Kamprad was said to be a former Nazi sympathizer following the Second World War. In 1994, Swedish newspaper Expressen reported that Mr. Kamprad had contacts with Swedish fascist leader Per Engdahl in the 1940s and 1950s. In a letter to employees, he admitted that he once had sympathies for the far-right leader and called it ‘a part of my life which I bitterly regret’. 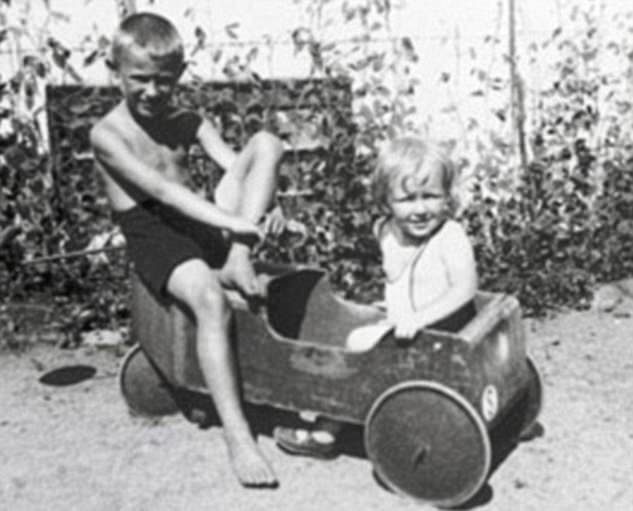 In a 1998 book he co-authored Ikea’s history, he claimed he had been influenced as a child by his German grandmother’s strong support for Hitler. The Ikea founder faced questions about his past again in 2011 after author Elisabeth Asbrink said he had been an active recruiter for a Swedish Nazi group. She also claimed he remained close to sympathizers well after the Second World War. The Swedish billionaire said his involvement was youthful ‘stupidity’ and the ‘greatest mistake’ of his life. 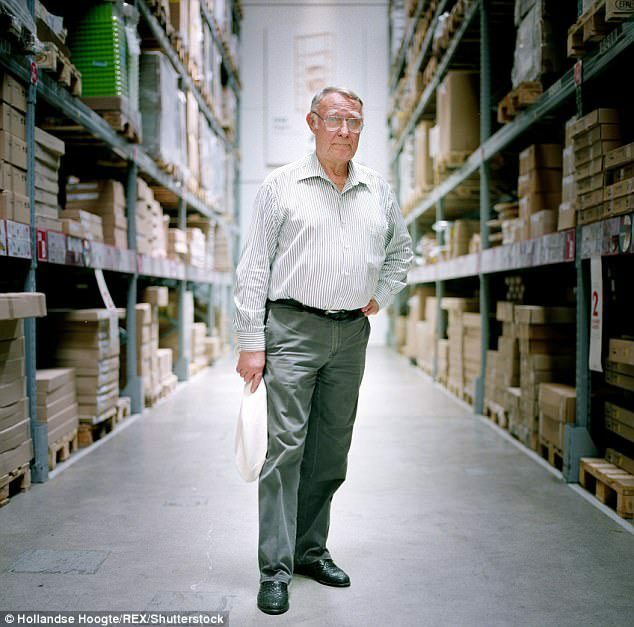 A self-confessed alcoholic, the Ikea founder admitted he had an ongoing problem with drink. But he said he has it under control and that he ‘dries out’ three times a year. He lived in semi-retirement with his wife Margaretha and the couple was often seen dining out in cheap restaurants and haggling over prices at their local market. When a statue of him was erected in his Swedish hometown, he was invited to cut the ribbon. He instead untied it, folded it, then gave it back to the mayor, telling him he could use it again. Explaining his frugal nature, he said: ‘I am a bit tight with money, a sort of Swedish Scotsman. But so what? ‘If I start to acquire luxurious things then this will only incite others to follow suit. It’s important that leaders set an example. ‘I look at the money I’m about to spend on myself and ask if Ikea’s customers could afford it. Multinational Ikea, with hundreds of stores, has long been the world’s largest furniture retailer. 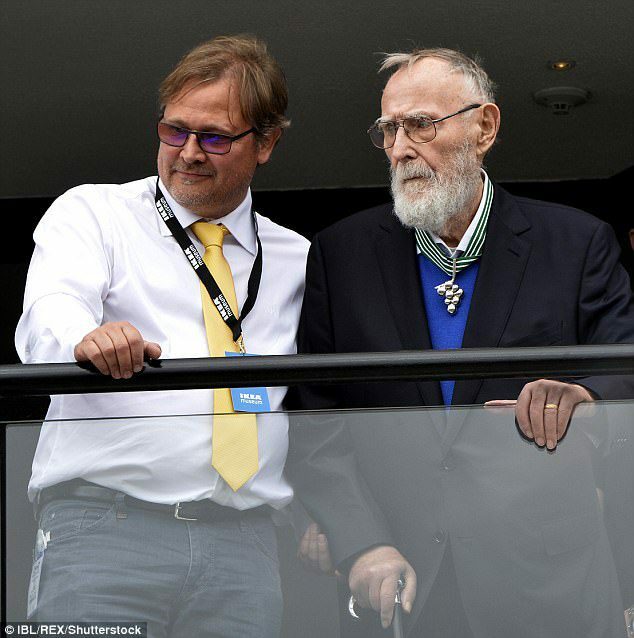 The company is run jointly by Mr. Kamprad’s three sons Peter, 44, Jonas, 41, and Mathias, 39. 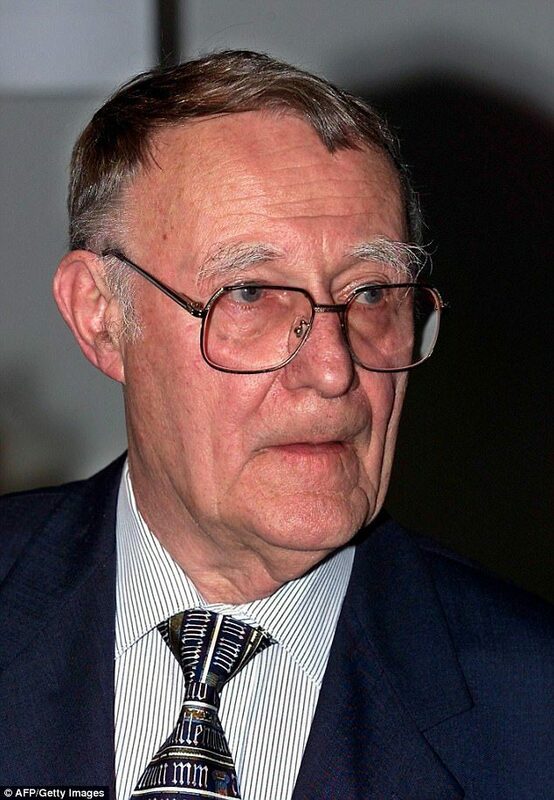 Excerpts from a book published in the Swedish business newspaper Dagens Industri in 2013 claimed that Mr. Kamprad fought bitterly with his children over his fortune. 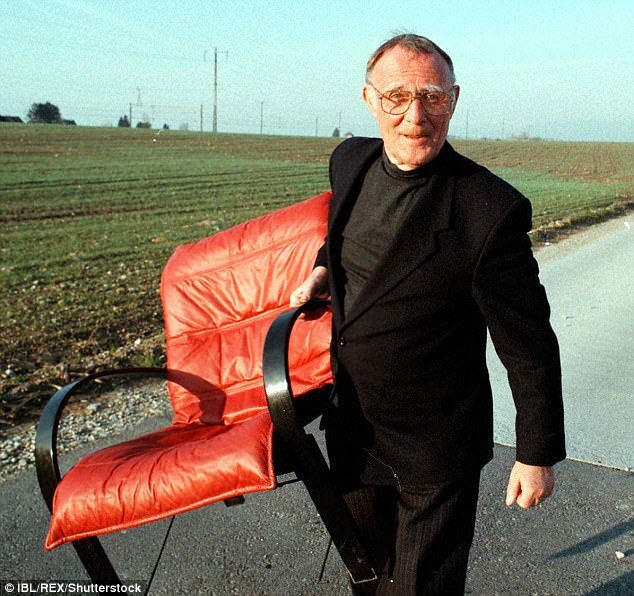 The authors of ‘Ikea: Moving to the Future’ alleged that a row broke out after Mr. Kamprad handed the company over to a group of Netherlands-based foundations in the 1980s. They claimed there was a clause in the agreement which allowed him to claim funds for intellectual property rights, which his sons hired a lawyer to contest. After news of his death was announced, celebrities came forward to pay tribute to the furniture magnate. 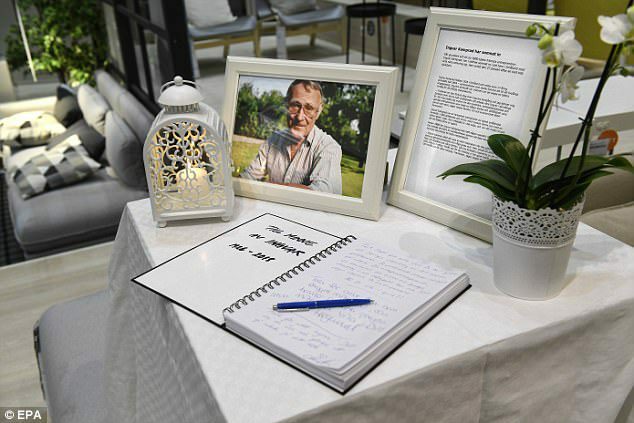 Furniture designer Jeff Banks said the Ikea boss’s creations radically changed how people made and designed products for homes. In an eery foretelling, Mr. Kamprad was declared dead by a Swedish radio station in December last year.